At CYC it gives us tremendous pleasure to be able to introduce a sparkling new corporate gym to a company's personnel. Occasionally, we are approached to equip the most unique fitness locations. 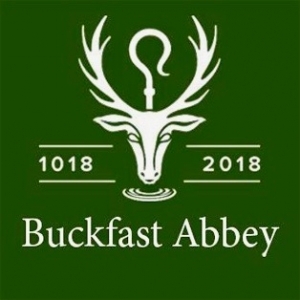 The Buckfast Abbey project is certainly one we will hold dear for its historic and cultural beauty. 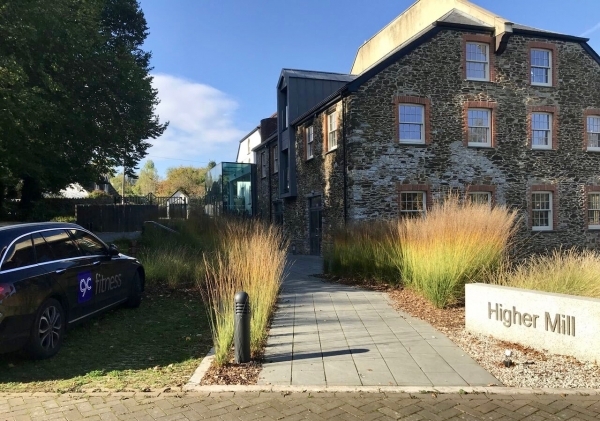 Nestled in a tranquil haven on the edge of Dartmoor and along the banks of the River Dart, Buckfast offers a peaceful refuge from the hectic pace of everyday life. The Abbey is a working monastery that welcomes visitors from all around the world. Surrounded by beautiful countryside, there is no more relaxing an escape than at Buckfast. 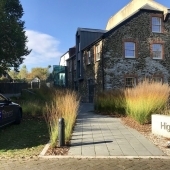 Within the Abbey’s grounds, there is choice of stay for conference centre delegates, leisure visitors, groups and families in ideally suited accommodation. Founded in 1018, the Abbey celebrates its millennium this year. 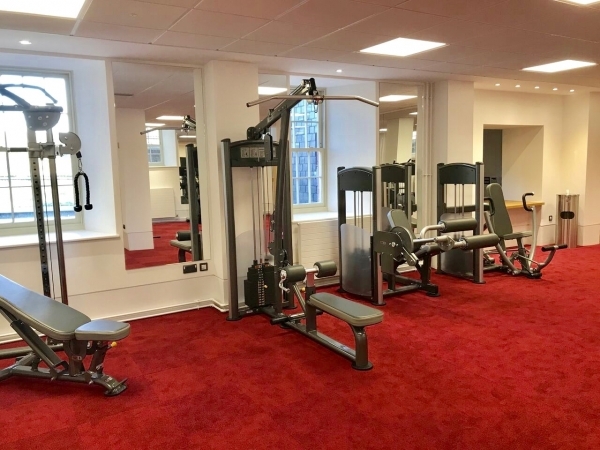 What better way to mark this special anniversary than to provide the guests of Buckfast's 33 hotel rooms and 120 staff members with a state-of-the-art fitness facility for their health and well-being. 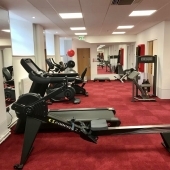 It was the desire of the Buckfast management team to create a sleek, yet entirely user-friendly, fitness studio. 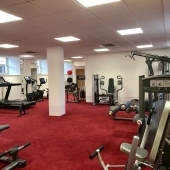 Variety of workout opportunities and touchscreen technology were considered important to engage with the hotel guests and staff, as was optimization of space. The Gym Gear Elite Series was the perfect choice to create 8 strength stations that would offer choice and maximize space. Buckfast selected the Elite Series dual combination Leg Extension/Leg Curl Machine, Pec Deck, Lat Pulldown/Low Row piece and Dual Adjustable Pulley functional trainer. Gym Gear Elite Series Adjustable Benches were chosen, along with Gym Gear studio dumbbells, Swiss balls and stretch mats. 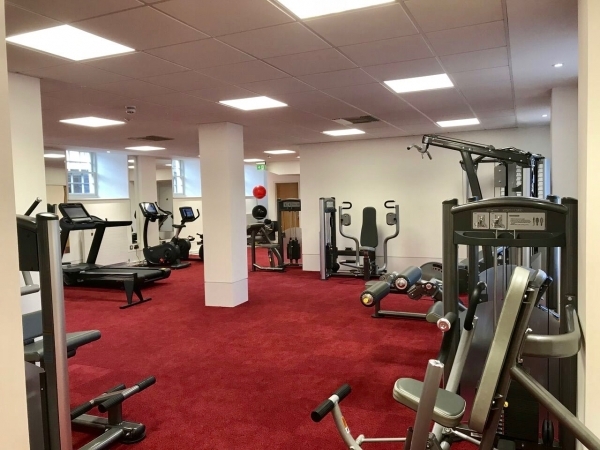 A small range of Physical Company accessories and Gym Wipes luxury floor dispensers made the strength training zone complete. 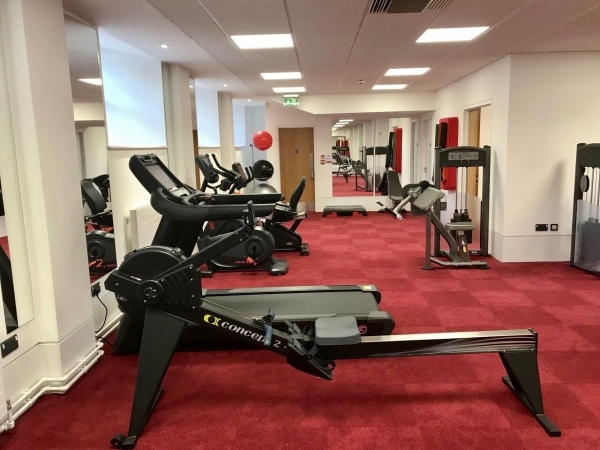 To meet the clients' cardio needs, Buckfast opted for the Concept 2 Model E rower and Gym Gear Performance Series for its smoothness, convenience and durability. The T98E Treadmill, R98 Recumbent Bike, C98E Upright Bike and X98E Cross Trainer were installed, all with performance clear touch console and Virtual Go technology, featuring 10 beautiful sceneries for interactive workouts. 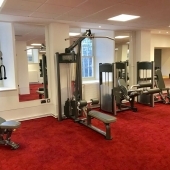 With intelligent design work and this impressive selection of equipment, Buckfast now has an admirably sleek and airy fitness suite where its guests and staff can focus on their relaxation and wellness. From CYC, thank you and good luck to everyone at Buckfast.